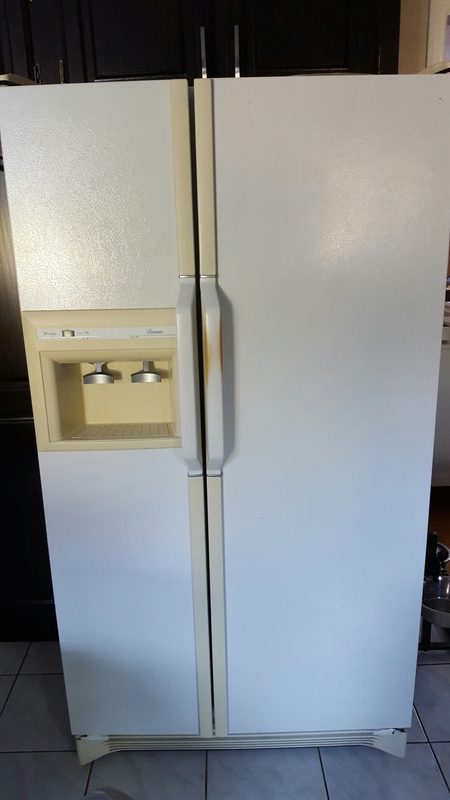 Over time, you might notice that the handles on your refrigerator become worn and yellowed or even take on an orangey colour. Scrub as you might it just doesn’t go away. Rest assured this is not dirt. Those plastic handles have a special coating. What you’re seeing is the underside where the coating has worn off. Mine were so bad it was embarrassing. What to do? I’d love to eventually replace the appliances with sleek stainless but there’s nothing wrong with the fridge and appliances are expensive! You can easily pop those things off. 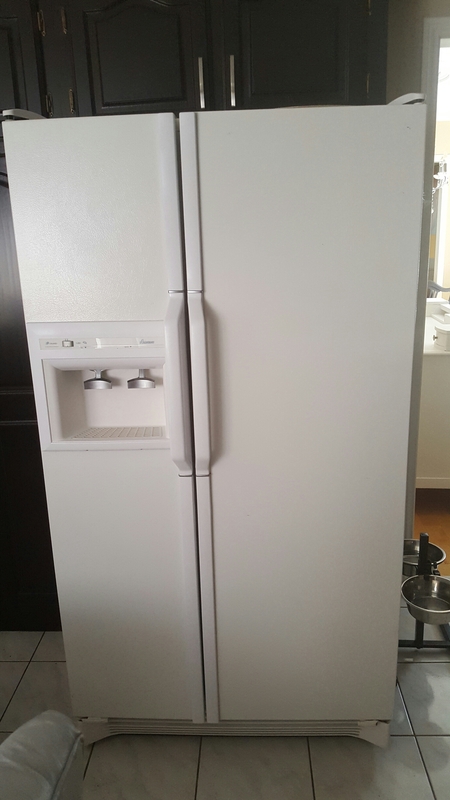 I don’t know if all fridges are the same but I didn’t have to take the whole fridge apart. It was pretty easy to pry the parts off. 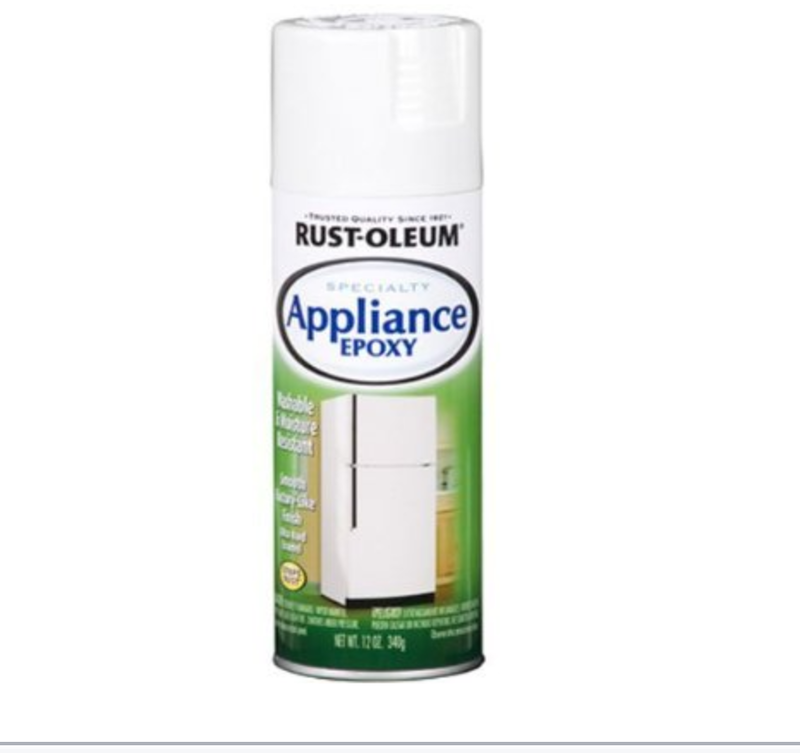 To paint the handles I used a special spray paint made for appliances from Rustoleum. I couldn’t manage to remove all the parts for the ice and water dispenser so I covered up what I could and just used chalk paint for this area. We don’t use the dispensers anymore so water and ice exposure is not going to be an issue. Here is the after. Looks brand new. Still not stainless but looking good. This stuff is great! We have used similar to spray over a nasty scratch and it blended in really well. Love how you have used it on the parts that had yellowed. Well done!! An awesome revive.